The Maine Drug Enforcement Agency reported seizing guns, drugs and money during a raid of an apartment in Orland on Monday. 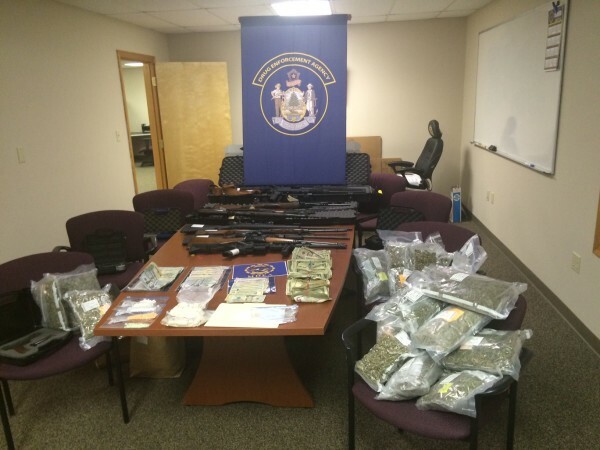 ORLAND, Maine — Police seized 400 grams of heroin, 22 pounds of marijuana, 750 oxycodone pills, $40,000 cash, two vehicles and more than a dozen firearms during a raid of an Orland apartment Monday. “This represents one of the most significant single heroin seizures in the state of Maine to date,” Cmdr. Peter Arno of the Maine Drug Enforcement Agency said in a news release issued Monday. The heroin alone carries an estimated street value of $100,000. The marijuana is valued at $33,000 and the oxycodone at $20,000. Orland residents Paul Chiumiento, 32, and Hyacinthe Baril, 35, and Aaron Carter, 40, of Sedgwick have been charged in connection with the bust. All three were being held at the Hancock County Jail. 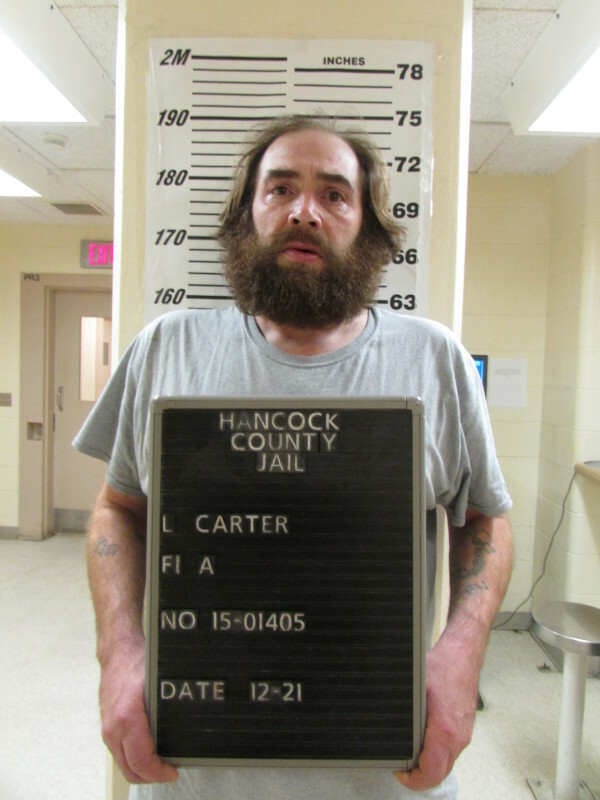 Arno said the arrests are the culmination of a yearlong investigation, during which MDEA worked with deputies in Hancock County trying to pinpoint the source of distribution of heroin in the county. As part of that investigation, deputies stopped a vehicle Monday morning in which Chiumiento and Carter were traveling along Route 1 in Orland. They were arrested when police reportedly found heroin. After that, investigators searched an Oak Hill Road apartment where Chiumiento lives with Baril, his girlfriend. Inside the apartment, police reported finding more drugs, a stockpile of guns and cash. Police also seized a 2012 Mercedes sport utility vehicle and a 2015 pickup truck owned by Chiumiento. Chiumiento faces a Class A aggravated trafficking in Schedule W drugs charge and is being held on $200,000 cash bail. 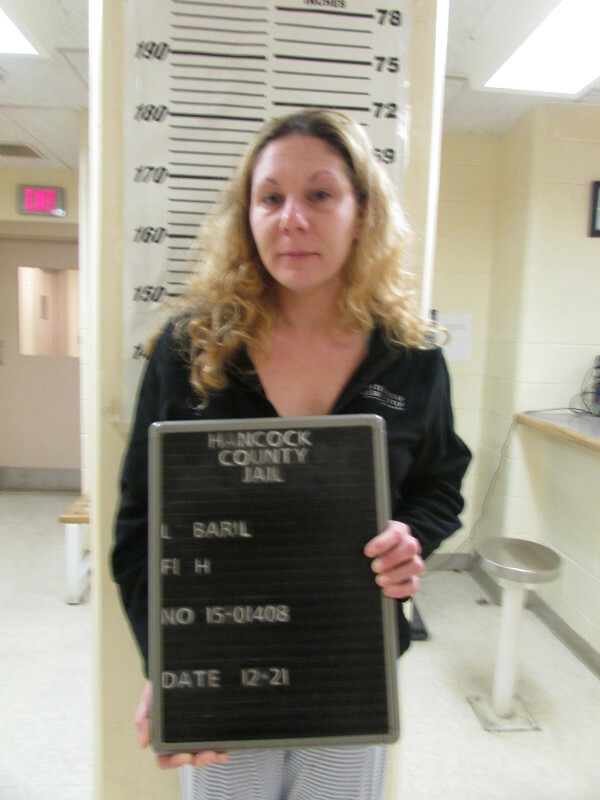 Baril faces the same charge, with bail set at $100,000 cash. Carter is charged with Class C conspiracy to traffic Schedule W drugs, and his bail is set at $75,000. Maine State Police assisted Hancock County deputies and the MDEA during the search of the apartment.